As the EU prepares to celebrate its 60th anniversary, the “ever closer union” principle that underpinned the European project is being put on hold as the bloc struggles to survive its annus horribilis. At a European Parliament plenary session in 2009, Czech President Vaclav Klaus was booed by MEPs because he dared to question the “ever closer union” principle enshrined in the EU treaties. “Let us not allow a situation where citizens of member countries would live with a resigned feeling that the European project is not their own,” he said. A few years later, the Eurosceptic president can partly claim victory, because the EU’s “uncritical acceptance of this dogma” is being dismantled. Since the European Union was founded in 1957, its proponents have consistently championed “more Europe” in response to the challenges Europe faced after the Second World War. Although it was an elite enterprise, citizens eventually came on board as the promises of peace and prosperity materialised. Today, the Great Recession, and banking and debt crises, have broken the unwritten pact between leaders and voters. Leading MEPs have expressed the view that a possible Brexit would trigger the collapse of the European Union, EURACTIV has learned. As a result, member states and EU institutions are calling for a “better Europe” today, which means investment projects that matter to citizens. But completing the Digital Single Market (a top priority in Brussels in Berlin), the end of roaming, free wifi, and free InterRail tickets are far from being Europeans’ top concerns. “There is a decline in what member states and the institutions think they can achieve together,” said Guntram Wolff, director of the Bruegel think tank. “The lack of ambition is very clear,” agrees Ignacio Molina, senior researcher at the Real Instituto Elcano. In his view, the European project has become more difficult to manage as a result of increased accountability by citizens and national parliaments. “The cost for progressing is higher nowadays,” he said. The future looks gloomy. 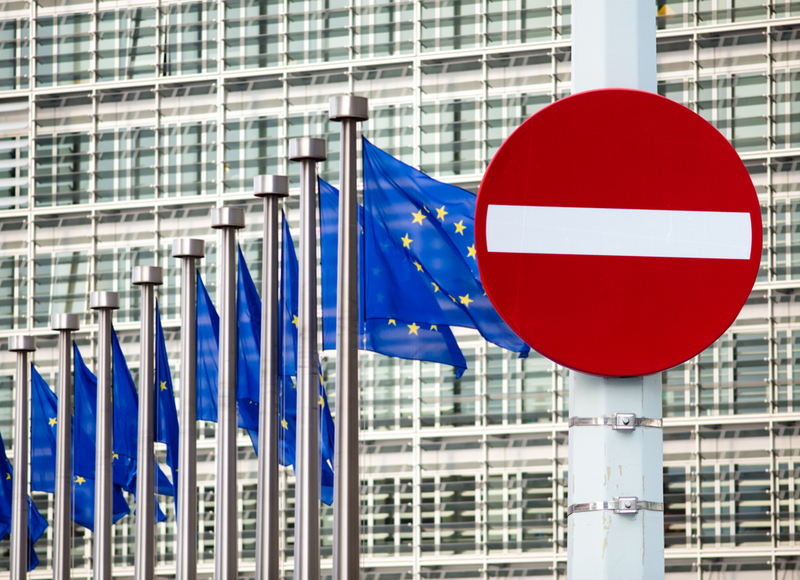 EU institutions and national governments “will continue with this muddling, progressing step by step toward the lowest common denominator, with no clear vision”, Janis Emmanouilidis, Director of Studies at the EPC, commented. “Frankly, I don’t know how the EU will look like in a decade, but I can imagine a less closely coordinated union, where Brussels plays rather a regulatory role,” Wolff added. The result of the Dutch referendum was the latest in a series of serious setbacks for the European project. The second week of April could be remembered as the moment when all the fronts in Europe’s multifaceted crisis started to converge, writes Jorge Valero. The EU is in an “existential crisis” European Commission Jean-Claude Juncker said during his state of the Union address in September. “We need solutions for Europe and we are in a critical situation,” German Chancellor Angela Merkel said in Bratislava few days after. The crisis has many faces: low growth, high unemployment, a refugee crisis poorly managed, tensions with Russia, terrorism, an ailing support for the EU institutions, and the disintegration of the bloc after the UK referendum. EU leaders’ response to this myriad of challenges, and in particular to Brexit was just the “spirit of Bratislava”. This is the “spirit of cooperation”, German Chancellor Angela Merkel described. But restating that the now 27-member bloc is a union was not enough for some at the leaders’ table. 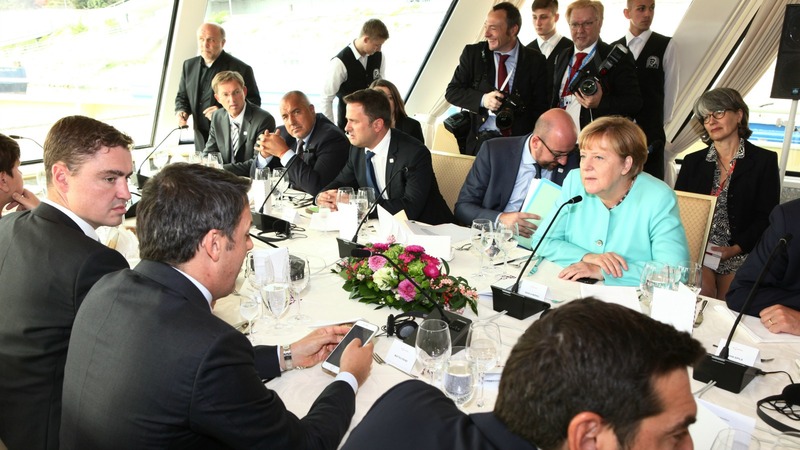 “I don’t know what Merkel is referring to when she talks about the ‘spirit of Bratislava’,” Italian Prime Minister Matteo Renzi said in an interview after the Bratislava summit. “If things go on like this, instead of the spirit of Bratislava, we’ll be talking about the ghost of Europe,” the Italian premier said, as he was frustrated with the lack of action to reinvigorate industrial output and address the migration crisis. A senior EU official explained that the lack of “commonality” is because national governments are “weak” due to the upcoming elections in 2017. As France, Germany and The Netherlands will hold general elections next year, governing parties are reluctant to lose ground with far-reaching projects in Europe. The shared diagnosis is clear: these ideas further alienate their voters. Alternative für Deutschland’s impact on Merkel’s CDU in her home state was the latest warning shot from Europe’s populists. France’s National Front, Germany’s AfD and the Netherlands’s Party for Freedom (PVV) have all gained voters by scapegoating the EU, and stigmatising minorities. We have been infected. The virus of populism, racism, xenophobia has affected Europe. This virus in Europe is named Le Pen in France, Farage in Great Britain, Orban in Hungary, 5 Stars Movements in Italy, Kaczynski in Poland, writes Gianni Pittella. For analysts, the problem is more serious. “There is a more philosophical shift, not only in Germany but also in France,” said Bruegel’s Wolff. “The problem is much deeper,” agreed Emmanouilidis. “Mainstream parties have lost not only room for maneuvering because of the populist parties. The biggest risk is the polarization between the winners and losers,” of the current system, he added. 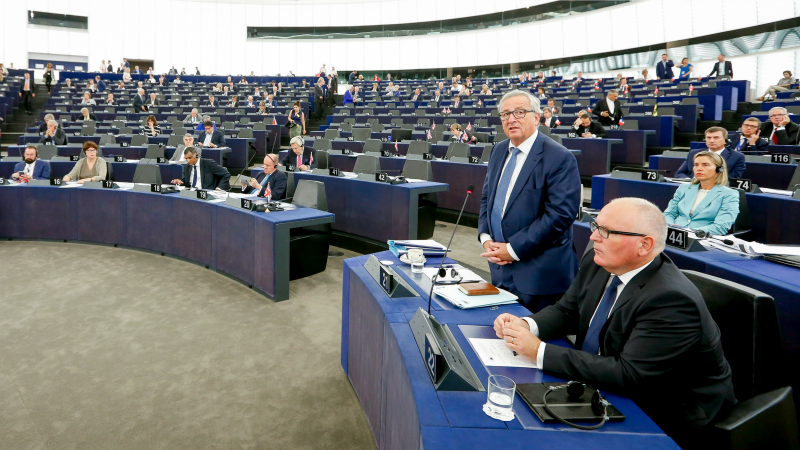 In order to contain the damage, Juncker offered in his State of the Union address a “positive agenda” in few areas where “common solutions are most urgent”. More than a “vision”, citizens need “someone (who) responds to the challenges of our time”, he said. Juncker focused on completing the Digital Single Market, security and defense, and some eye-catching proposals such as free wifi in all urban areas by 2020. Telecoms companies were as surprised as anyone when Jean-Claude Juncker announced Wednesday (14 September) that the European Commission wants every city and village in the EU to have free public Wi-Fi in some places by 2020. “New common European projects should focus on the immediate concerns and needs of its people,” ECB President Mario Draghi told the European Parliament’s Economic and Monetary Affairs Committee a couple of weeks later. In his view, the top concerns are migration, security and defense. However, Europeans think otherwise. The economic situation and unemployment, together with immigration, are the main challenges, according to the latest Eurobarometer. Some of the proposals to fuel economic growth and better protect the victims of the crisis were included in a roadmap drafted by the heads of the EU institutions in June 2015. The objective was to achieve a fiscal union and, ultimately, a political union. One year later, the Five President’s Report reads like a science fiction novel. Even Draghi and Juncker, the main backers of deepening the economic and monetary union, have toned it down. The piecemeal approach orchestrated by Jean-Claude Juncker and Mario Draghi to address the root causes of the euro zone debt crisis and complete the Economic and Monetary Union (EMU) has not yielded any positive results so far, EURACTIV.com has learned. 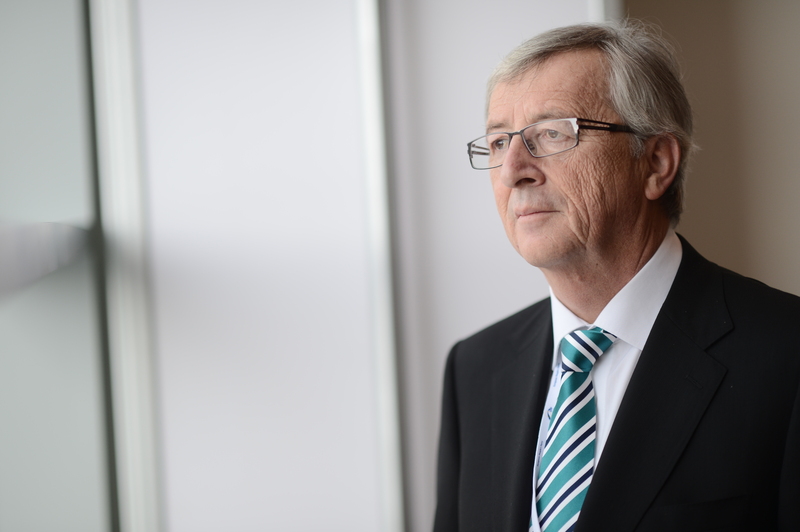 A Commission spokesperson said that Juncker “sticks to the ambition of deepening the Eurozone” and he will unveil his vision for the future of the EU in a white paper in 2017. But for Wolff, “it is true that Draghi and Juncker are less for the fiscal integration now, there is certain disillusionment”. “We will not have a fiscal capacity in this mandate, which is a mistake because we will continue having a sub-optimal monetary union,” he added. “It is a vicious circle,” adds Emmanouilidis, because some of the measures that could help to narrow the gap between the winners and losers are getting sidelined. In order to break the cycle, the EPP leader in the European Parliament, Manfred Weber, proposed giving free InterRail tickets to teens. 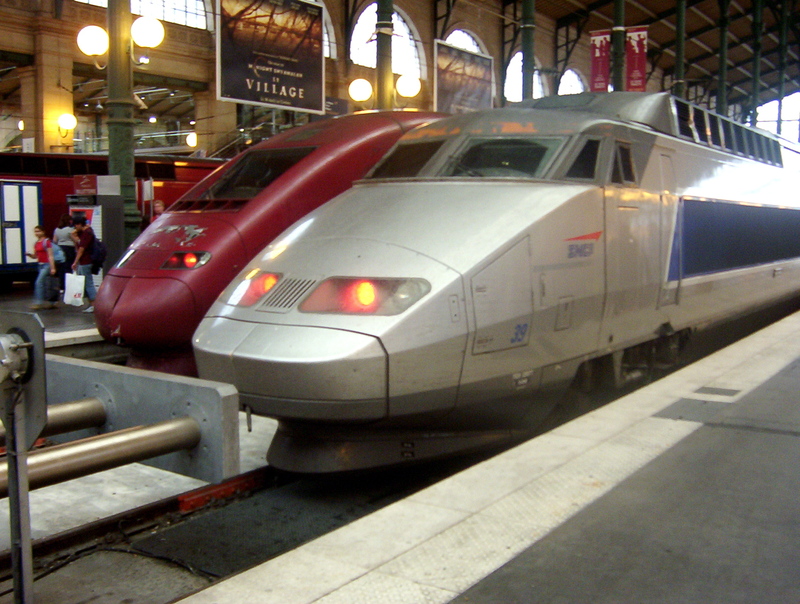 The European Commission is considering handing out free InterRail tickets to all young Europeans when they turn 18, following up on a proposal made by Members of the European Parliament to counter the wave of euroscepticism spreading across the continent. “This may not sound like much but sometimes it only takes a spark to light a fire that burns forever,” he said. “I am convinced that the 18th birthday InterRail pass for Europe could become be a true lighthouse project for the development of a common European identity in diversity,” he stated. 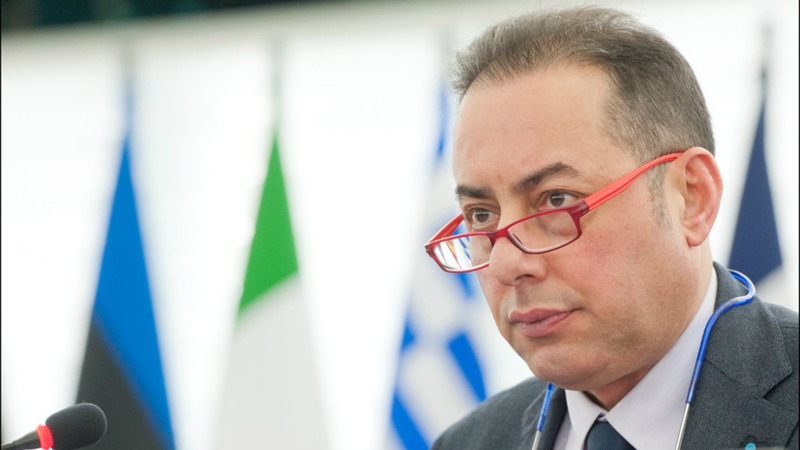 When the EU faces its worst humanitarian crisis on its soil, and still struggles to deal with the collateral damage of the Great Recession, free InterRail tickets, the end of roaming ,or free wifi “of course is not enough”, emphasised Emmanouilidis. For a longstanding EU official, had this way of thinking been as widespread as it is today, “the European Community would not have been created half a century ago”, he said on condition of anonymity. Not so long ago, EU leaders advocated not only ambitious roadmaps towards an ever-closer union. Some even spoke about having Europe’s ‘Moon landing’ moment. 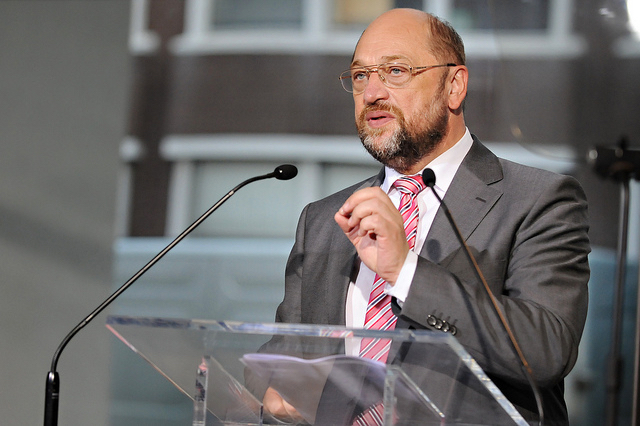 The green energy revolution could be our Apollo project, European Parliament President Martin Schulz said during his first mandate. Could a European Apollo equivalent help? Or would a major shock be the turning point? Banking union came in the aftermath of the financial crisis. However, the project remains unfinished, as the European Deposit Guarantee Scheme is still pending, and Germany is a staunch opponent to any risk mutualisation. Meanwhile, the ‘Brexit’ shock triggered some calls for further integration in less controversial areas such as Security and Defense. But member states needed two Council meetings to confirm their intention share intelligence information in the aftermath of the attacks, while defense proposals were raised in the past with little progress achieved. “I have a sense of déjà vu when I read about a lot of them,” Emmanouilidis said. Against the backdrop of an economic and morale crisis in the US in the 1960s, John Fitzgerald Kennedy said in May 1961 “it is time to take longer strides–time for a great new American enterprise”. The American president announced that the US would land on the moon by the end of the decade, which “in many ways may hold the key to our future on earth”. In times of social unrest, fiscal constraints and the USSR’s leadership in the space race, the Apollo programme was very unpopular. In the end, it not only became a source of national pride, but helped fuel US leadership in high technology. Europe could also aim for the stars, but only if it fixes its backyard first. “The national narratives about Europe are in crisis,” Emmanouilidis stated. Fixing the European narrative may appear to be a Moon landing to some. But it is better than considering the EU’s retirement on its 60th anniversary. On Hold because of Merkel , Rutte and their willingness of Austerity ?!? Are elected nationalist trying to harm the Eurozone now ? Astonished how The top elected heads of Governements wants to harm the E.U. institutions because of their own nterests only . We have a self-suicide EU Councilf of Ministers ! Only a federal Eurozone is morally acceptable and not an Europe à la carte or Merkel’s high-handling’d one with Schäubl’es austerity ! Standing still is not the solution and step behind a disaster with nationalism and end of single market . I see only 1 option a federal Eurozone ! Some politicians needs to call A. Hamilton and Winston Churchill back to recover back the track. I am extremely proud to have worked very hard to bring about Brexit. If history also shows that Brexit was the catalyst that destroyed the ill-conceived antidemocratic unaccountable elitist failing experiment that is the EU. I will be happier still. It will take a lot more than a free train ticket to hold this crumbling edifice together. Those here some kipper-FN-supporter about speaking “antidemocratic” by an undemocratic unelected disaster May governement should realize what’s ongoing in Britain ..Plunging values of Steerlings lower than expected . Firms are slowly pulling out their goods from the UK . As I “wrote” in a different Topic with a different language called ” english killer” has begin the End of Britain and begin the beginn of a stronger at least more integrated Eurozone which is not the entire E.U. ! The European Union will not need to “survive” but just gets stronger ! The E.U. won’t need Britain not Hungary for this ! The founding fathers of the Union are just much more stronger anyone can realize actually . In no way Europe can’t go nor stand still here but I see moving it towards a real base federalization which is the way to go for unlike that too much centralized UK dictating everyone by scapegoating the E.U. and Scotland and that is the reality . The UK as an union is in a very political and economical burning status quo ! I stated somwhere else that GS will move onto the City of Europe and will leave London without an influencal place of finance. But again Brexiteers will not understand and they will merely eat garden potatoes and graass to survive and still listen to Farage which has grabb tons of E.U. money and from the supporters I ‘m just laughin’ . Any politics which will try to make federal EU is doomed and it will cause a total colapse of EU. It article above is pointed a mian EU problem: There are no decent jobs for EU citizens in EU . Main reason for that is globalization and EU politicians do nothing about that. No . Nationalism Racism Populism shows the the UK is doomley going to 🙂 Be proud of the disaster unelected May Government with sub-racial statements . So a democratic base federal way for the European Union is just the only solution to get people more involved on solutions and referendums and the need anyway to apply the rules of the monetary and economic system of the Eurozone . Scotland will soon divorce from the totally strong centralized british Union . And he was booed. The EU leadership had decided they owned European project and damn the citizens if they think it belongs to them! Has anything changed? Angela Merkel thinks that she can unilaterally determine what Europe should on immigration so I think the answer is no. And correction: Banking union did not occur as a result of the fiscal crisis. The fiscal crisis was deliberately engineered to generate a situation where the EU leadership would have an opportunity to squash any resistance to their plans, and it failed. This is the reason why it “remains unfinished” as the author so generously put it. The EU project was succeeding when it was limited to the issues that people actually thought mattered – free trade with the economic prosperity that came with it. The expansion into things like the eurozone was where it failed in part because it had no actual mandate – just dreams from the leadership. If the leadership continues to ignore the citizens these problems will just get worse. There was an article describing how terrible it is that local leadership in the EU member nations are blaming things on “Brussels” when in reality the folks in Brussels are just the people these member nations have elected – there really is no “them”. That is only true when the folks who have been elected are still listening to the folks who elected them. 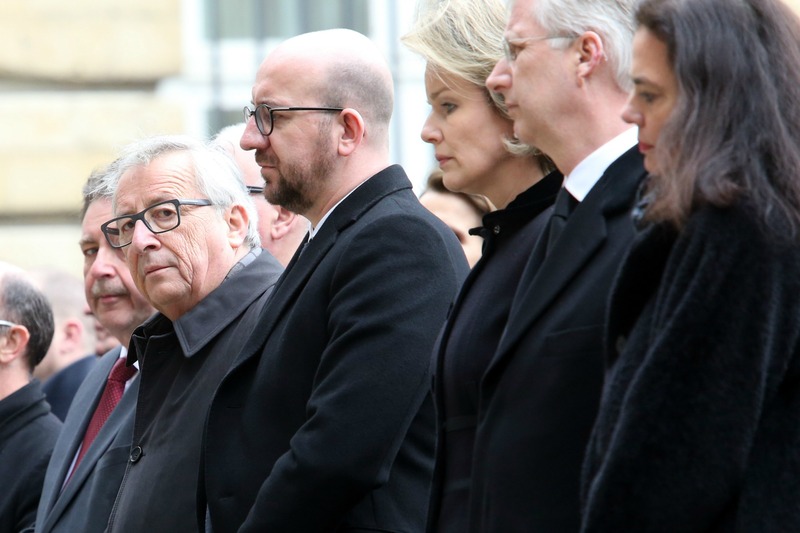 The problem is not local leaders blaming things on Brussels – that blame only works when the folks in Brussels are ignoring the folks back home. That is the problem: the folks in Brussels are not connected to the people back home. Ho, Ho! It is not the Cold War any more so its time for the kiddies to learn the truth. The Common Market was created as a requirement of receiving money under the Marshall Plan. It was part of the US Foreign Assistance Act 1948. Don’t EU officials know their own history or do they believe that Jean Monnet. whose ACUSE was financed by ACUE, did it all?